Whenever I tell friends that I enjoy ‘cooking with gin’ they instantly ask me what culinary delights I have been whipping up with a gin centre piece. A batch of gin soaked cupcakes? A gastronomic fete featuring a juniper infused sauce? Perhaps a cleverly marinated botanical masterpiece? No, no, no – I chuckle – as I quickly correct them that I merely enjoy the art of drinking a Gin & Tonic, whilst listening to the soothing tones of the microwave humming along in the background. 3mins on full power. Stir, shake, repeat. Bliss. Up until recently, I had assumed that this was what all good chefs meant when they claimed to cook with booze. That was until the team from Fentimans decided to collaborate with Notting Hill patisserie wizards ‘Pearl & Groove’ for a Pop-Up like no other! Fittingly located on Portobello Road, for one weekend only, I was armed with a promise of a place on the guest list and a G&T on arrival. And whilst I was assured that no microwaves would be in use at the event, I was guaranteed that the fun dial was going to be turned up to max! The partnership with Pearl and Groove (http://www.pearlandgroove.com/) seems to be a perfect match, given that their ethos is ‘love cake, love life, keep active, keep healthy and be happy’! With an awareness of today’s dietary concerns, preferences and allergies/intolerances, at P&G everything is gluten free. They even have refined sugar and dairy free options. It’s all designed to allow everyone the freedom to choose a slice of life whenever they like; ‘Say yes to whatever you want whenever you want. Trust yourself. Relax, no need to obsess.’ And if you’re not getting the point from that, they can break it down for you a little more – ‘just have a f**king cake’! I was also incredibly excited to learn that the venture was to be unveiled by Great British Bake off winner Sophie Faldo, who I correctly predicted as last years winner to beat my wife in a (as yet unfulfilled) bet. The resultant winner was supposed to be cooked a three course slap up meal by the loser – though I have since been informed that there is only one loser in our household…I’m not entirely sure what she meant by that? The Fentimans Gin Bakery was set to feature limited edition gin and tonic-themed cakes, with each delicacy showcasing one of their premium mixers. There is then also the option (the word ‘option’ making it seem like anyone would opt otherwise?!) to order an accompanying matching G&T to sample the Fentimans mixers in their liquid form. This really was my kind of eatery! They say that a party without cake is just a meeting. And in taking an advanced sneak peak at the Bakery menu, excitement levels were cranked up a notch – this was going to be one heck of a party! After a brisk walk from Westbourne Tube Station, in the unforgiving rain, we arrived outside the bakery. And what a glorious sight it was. For a moment, I thought I heard gospel choir music as we stared longingly as the amazing window front display. And whilst that turned out to just be a passing car radio turned up a little too loud, I still maintain that it was a heavenly sight. The space itself has all the quirky cool swagger that you’d expect from a hip London joint – it’s cute as a button, boutique-y as hell & all under pinned with a ‘too cool for school’ chic. It’s edgy and exciting, with a vibe befitting of this epic event. Step in to the warmth of Pearl & Groove and we are heartily greeted by Lily, who enthusiastically talks us through the cakes on offer – each sounding just as delicious as the last! It was going to be a tough choice…All of the cakes featuring at the Pop-Up event are made by the bakery founders Serena & Flo using a range of gins and Fentimans mixers. You’re not going to find any synthetics or nasties here. And the cakes were so fresh that we were able to watch a continuous procession of new delights making their way from the kitchen to the counter for the duration of our stay! An impressive and dangerously tempting sight. I opted to go classic in selecting the ‘Botanical Tonic Water & Monkey 47 Gin with Lime Garnish’ cake (essentially a G&T in cake form! ), whilst my brother & partner in crime for the day opted for the ‘Valencia Orange & Tanqueray Sevilla Orange Gin with Orange Peel and Rosemary Garnish’ cake. We were then whisked away by Joanna, representing Fentimans, who talked us through the drinks pairing & created us two incredible G&T’s using the same ingredients that were included in our respective bakes. As they say, the proof is in the pudding…and I’m thrilled to report back that the pudding was flipping incredible! It’s difficult to describe just how good the cakes were. A sweet, light, cloud like sponge, topped with a generous portion of beautifully flavoured buttercream, with just enough of a kick of the botanical flavours for you to know you’re eating something quite special. No aggressive over use of the booze. No fake chemical tastes. Nothing artificial. Just fresh, delicious awesomeness. And the G&T? Much like a fine dining experience with matching wines, the drinks genuinely perfectly matched the eats! The flavours of the sponge and icing were beautifully balanced against the gins & accompanying mixers, with the sharpness of the alcohol helping to cut through some of the sweetness. Gin & cake being the perfect duo? Who knew?! As we turned to leave, we contemplated taking several boxes of cake with us…though knowing that would likely only end up in a squashed catastrophe (whilst being a delicious catastrophe all the same) we conceded to leave with with empty hands but full stomaches. Now with such a short stay (the Pop-Up was only to be in place Friday 21st – Sunday 23rd September), if you’re reading this now then you may well be too late…but fear not! The experience doesn’t need to stop once you leave the bakery. Though if your baking skills are anything like mine, your gin perfect serve may still remain in a glass with ice and a slice! Look out for future Pop-Up events at Pearl & Groove, because if this was anything to go by, they are not to be missed…Alternatively, just go there whenever – it really is that good! Serena & Flo, backed up by their awesome team of Nataly, Nashwa & Lily will be only too happy to look after you! We loved every second of our trip to Pearl & Groove. And with Fentimans on hand, this really was an example of being able to have your cake, and drink it! With huge thanks to Fentimans and Pearl & Groove for inviting me along as a special guest for their fantastic Pop-Up event! 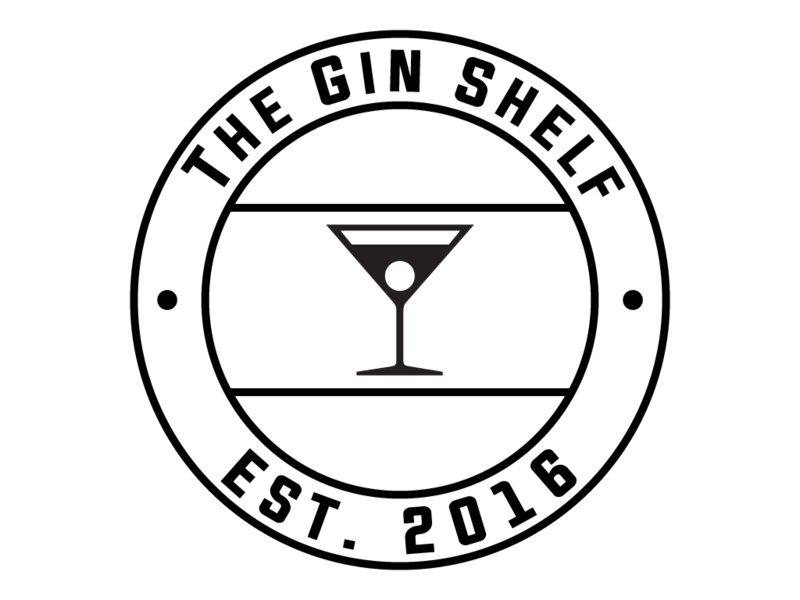 Be sure to check the team out and keep up to date with the latest & greatest in the world of cake and gin! My thanks also to Joanna & Will from Quirky Group for the G&T’s! You’re amazing! Thanks for such a lovely post! !